Welcome to the Howl-o-Ween Giveaway Hop, hosted by The Kids Did It and The Mommy Island! This hop has a ton (over 100!) of spooky yet sweet prizes to be won – perfect for the adult who misses trick or treating! 😉 Check out the complete list of participating blogs at the bottom of the post to see all that you could win. My prizes are perfect for getting your glam on, no matter what day it is: KISS Gradation Nail Polishes and False Eyelashes! These are just some fun beauty items to either play around with or really enjoy, maybe for the upcoming holidays. This giveaway is open to US residents ages 18 and older. Giveaway ends Wednesday, 10/15/17 at 11:59 pm ET. To enter, just use the widget below. 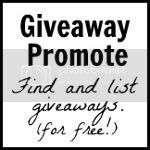 After you enter, keep scrolling to see the complete list of giveaways in this hop. Good luck! I am scared of really big spiders. Especially if they are hairy. I’m scared of getting stranded on the side of the road. I’m scared of the unknown and psych people! I’m scared of the unknown and psych people. I am afraid of clowns and the dark. I don’t like flies and ants. I am scared of heights! I’m most afraid of something bad happening to someone in my family. I am scared off snakes! But I am also scared of lizards, rats and spiders. I am scared of rodents and clowns. I am scared of tornados. I have had a few close calls and they scare the tar out of me. I am scared of earthquakes. I’m scared of dentists, ghosts, and Freddy Krueger. Thanks. Being that I cant swim, I definately scared to be in the water! I am scared of clowns. Absolutely terrified of them! Thanks for the super giveaway opportunity! I get a bit scared if I’m in a strange place in the dark. Spooky! I do not like mice! I’m scared of clowns, heights, and spiders. I am scared of people in trench coats. I’m scared of heights, rollercoasters, rats/mice, and dying. I am scared to death of big dogs with teeth! I am scared of spiders the most!! I hate all bugs, but a spider would make me hurt myself if I couldn’t get away from it or kill it!!! I’m most scared of spiders!! Worker: Do you need any stamps? Me: Yes, please. One book. Worker: Which ones would you like? Me: NOT THE SHARK ONES. SHARKS. All of them scare the daylights out of me.